We have covered plenty of exciting docks here in the past. Some only charge your device and serve as a set of speakers for it. The Lumawake goes beyond that. The product is designed to help improve the quality of your life. For starters, it senses as you approach it and lights up so you can dock your device easily. The connector works even if you have your phone inside a case. As the name suggests, the Lumawake dock aims to help you get more quality sleep at night. The device tracks your sleep cycles throughout the night and provides you with proper reports when you wake up. Using that data, you will be able to change your schedule to get better sleep each night. The product even simulates sunrise to wake you up naturally. It uses gradual illumination to accomplish this. A passive infrared motion detector is also included to detect the right time to awake you. 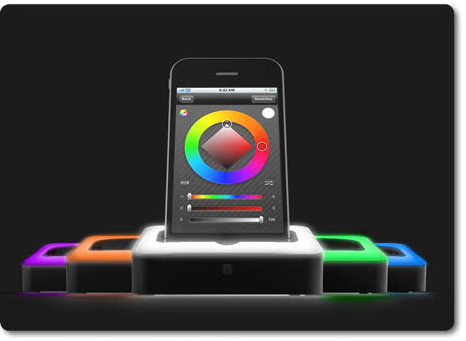 The Lumawake works with home automation system such as Belkin’s WeMo and has customizable settings. You can reserve one for yourself for $149. The Lumawake is certainly a cool dock to help you get your sleep schedule in order. The Pyle Retro Home Telephones can’t do that. But they do give your room a more old style look. These are handcrafted from real wood with brushed copper parts. These docks are compatible with the iPhone but also work with other devices such as iPads, Macs, and Android devices. 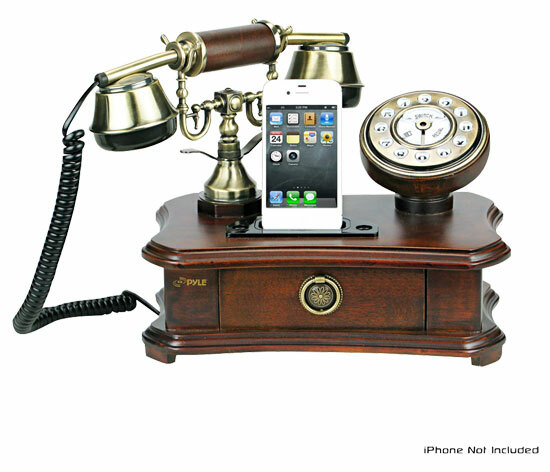 The Retro Home Telephone not only serves as a beautiful dock for your smartphone but it also eliminates wireless radiation (if that is something you worry about). You can use it with your landline connection too. These docks come in multiple models and cost from $89.99 to $109.99. What’s not to like?